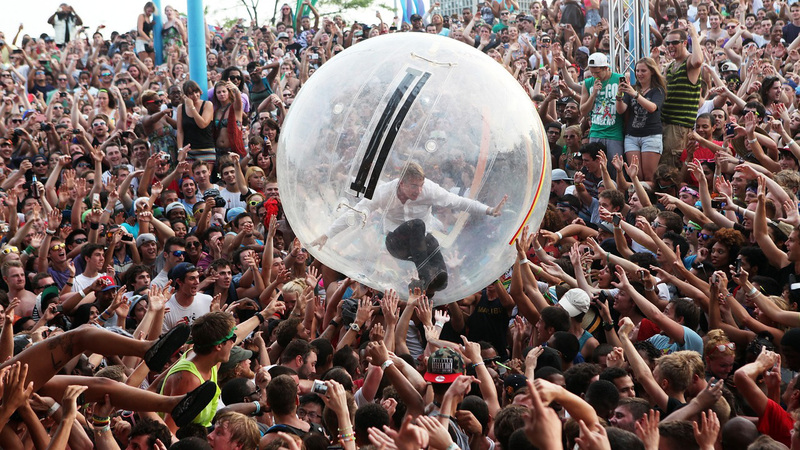 Grammy Award winning DJ/producer Diplo is bringing his traveling circle of good music to one of New England’s largest venues this summer. 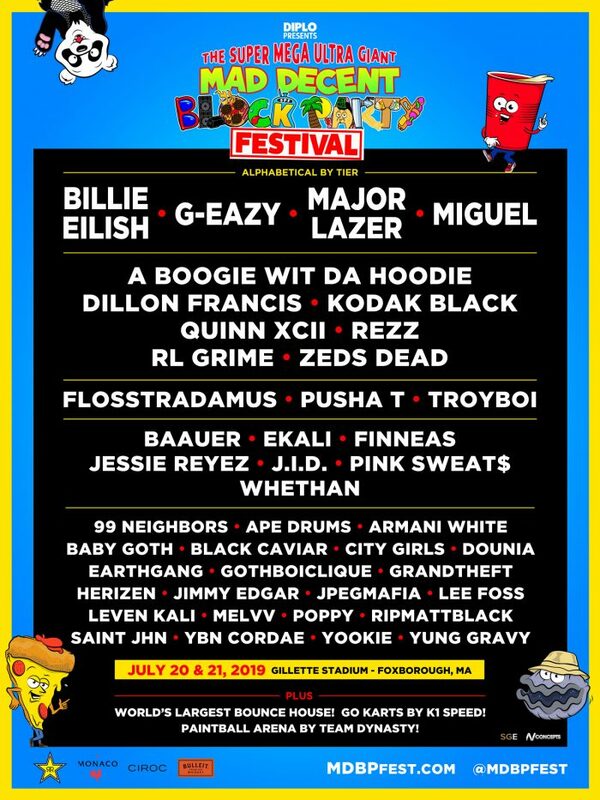 The festival, Diplo Presents The Super Mega Ultra Giant Mad Decent Block Party Festival, touches down on Saturday, July 20 and Sunday, July 21 at Gillette Stadium in Foxborough, Mass. The lineup includes a diverse offering from the worlds of hip-hop and edm. In addition to the headliners the show includes A Boogie Wit Da Hoodie, Dillon Francis, Kodak Black, Quinn XCII, Rezz, RL Grime, Zeds Dead, Flosstradamus, Pusha T, TroyBoi, Baauer, Ekali, Finneas, Jessie Reyez, J.I.D., Pink Sweat$, Whethan, 99 Neighbors, Ape Drums, Armani White, Baby Goth, Black Caviar, City Girls, Dounia, EarthGang, GothBoiClique, Grandtheft, Herizen, Jimmy Edgar, Jpegmafia, Lee Foss, Leven Kali, Poppy, Ripmattblack, Saint Jhn, YBN Cordae, Yookie, and Yung Gravy. Along with the music the fest boasts The World’s Biggest Bounce House at all of 10,000 square feet, a K1 Speed Go Kart track and a paintball course. For more information visit www.MDBPFest.com. Check the full lineup below. Tickets go on sale Friday, April 12 at 10:00 amET at: https://mdbpfest.frontgatetickets.com.